As the weather takes a turn from the warm sunny days of summer to being in full swing of fall, generally things in the Real Estate world tend to cool off as well. According to RBI statistics, November of 2014 showed some improvement from a year ago, but not the hot trend of October, just a month earlier. 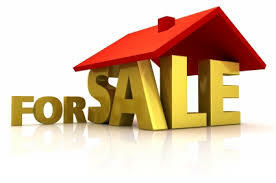 Interest rates still remain low, and listed home numbers are down as well, representing a 5-year low. Unfortunately, as cold fall mornings foreshadow the cooling trend that winter brings, the demand becomes a bit chilly as well. From your basic economic class, low demand and low supply puts the market in equilibrium with little change. Dollar volume of sales increased nearly 8%, an increase from a year ago but well below the 75% increase in October. Again, in a small market like Lake of the Woods, too much focus on percentage change and month-to-month variations is not nearly as significant as the general trend of an improved market overall. In terms of total homes sold, we are equaled the number of units sold from a year ago (13), and declined five units from October, so the traditional winter slow- down was expected. Interestingly, over 1/3 of the transactions in November were cash sales and as REALTORS will tell you, the lending process, although improving a bit, is still over-correcting from the liberal policies which led to the housing crash and makes the underwriting process a bit frustrating for most transactions- so cash makes it pretty smooth (no surprise)!! Be sure to visit our Website www.pennyohomes.com for the most recent real estate statistics provide by RBI. 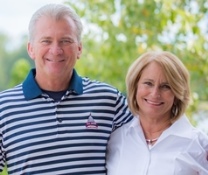 If you plan on buying or listing a home, a call to the Ostlund Team, will connect you with one of the most experienced top-producing agents in Lake of the Woods. Penny is one of the top Coldwell Banker agents in the entire state, whose knowledge of the Lake of the Woods community is unsurpassed. Please contact Penny at 540.903.9372 or Charlie at 540.903.7796, and allow us to provide “Exception Service with a Personal Touch”!